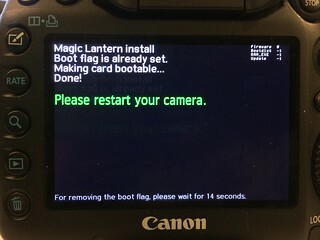 2) Make sure you are running Canon firmware 1.1.3. Note: the upgrade from 1.2.3 to 1.3.3 was a minor one, and porting ML is straightforward (chris_overseas already did it, I only need to sit down and try it). Please discuss raw recording issues in the Raw Video section of the forum, not here. Installer worked magic. Much appreciated. 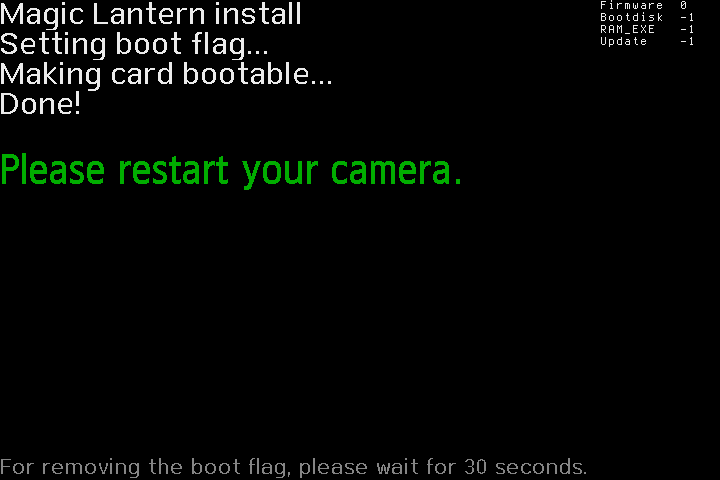 Must have been 1,5 years since I had my booflag disabled. It is already set again .